Last Saturday, Wayne Rooney marked his Everton return with a crucial goal that lifted the club to a 1-0 win against Stoke City on the opening day of the Premier League season. The Manchester United legend sealed a move back to his home club this summer, for which he played as a teenager. Everton will be looking to build upon this victory when they play Croatian side Hajduk Split in the Europa League first playoff round on Thursday, August 17th. The Toffees are after their European return after a two year absence. In the last seven seasons, Everton qualified for the Europa League on one occasion in the 2014/15 season and advanced to the round of 16. Everton are a club with a long history seeking modern trophies. The club has played in the top flight of English football since 1888 apart from just four seasons spent in the second division. According to the Daily Mail, Ronald Koeman has stated that he and the club will throw everything at Europa League qualification and take the competition seriously this season. Koeman has recently strengthened his side, not only with the return of England’s former captain Wayne Rooney, but also with Jordan Pickford. The young Englishman, at only 23 years of age, had an outstanding campaign for Sunderland in goal last season and caught the eye of many managers. Also brought into the club this season was Burnley’s standout center back Michael Keane. 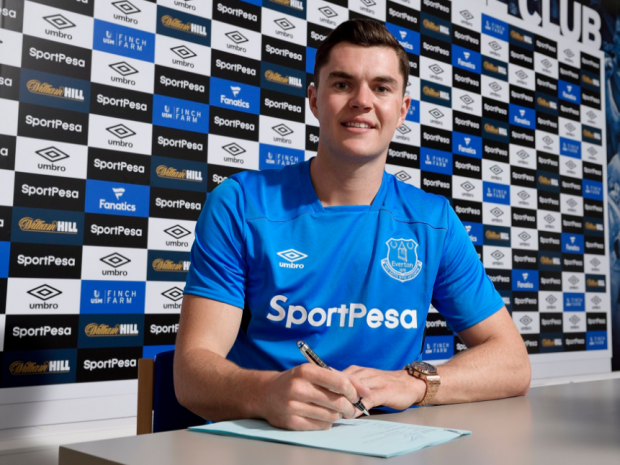 The balance of bright young talent and leadership from Wayne Rooney and left back Leighton Baines could be the key to a successful season in which Everton closes the gap on the elusive top six in the Premier League. Koeman’s side should be favorites to knock out their Croatian opposition, but they will certainly be tested on Thursday. After Everton’s clash with Hajduk Split at Goodison Park, the Toffees will face Manchester City at Etihad Stadium on Monday before the second leg Europa League deciding match in Croatia next Thursday.